Over the weekend our telephone system developed a significant fault and is not working. 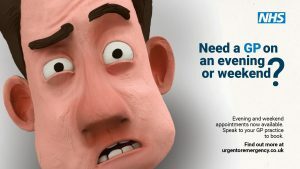 If you require urgent medical attention out of hours then please call 111. In an emergency always dial 999. A temporary replacement telephone system is being fitted but disruption could potentially last for several weeks. Our aim is to prioritise patient care but we can expect difficulties transferring calls to members of the team, and delays in making non-urgent calls to patients. Our prescription line will not be operational so we will need to take ALL calls on our 01434 603627 number. Please therefore wheverever possible use alternative means of ordering prescriptions (online, via the right-hand side of your last prescription or in person). If you do need to telephone to make a prescription request please only phone after 3pm in an afternoon when the lines will be less busy. We need to keep our phone lines as clear as possible for patients with urgent medical problems. We apologise in advance for any inconvenience caused, but please be assured the staff are working hard to provide a safe service to our patients while we work to get back to normal as quickly as possible.